Hello TT&J readers! I’m so happy to be here today! Hope your Christmas was the merriest! 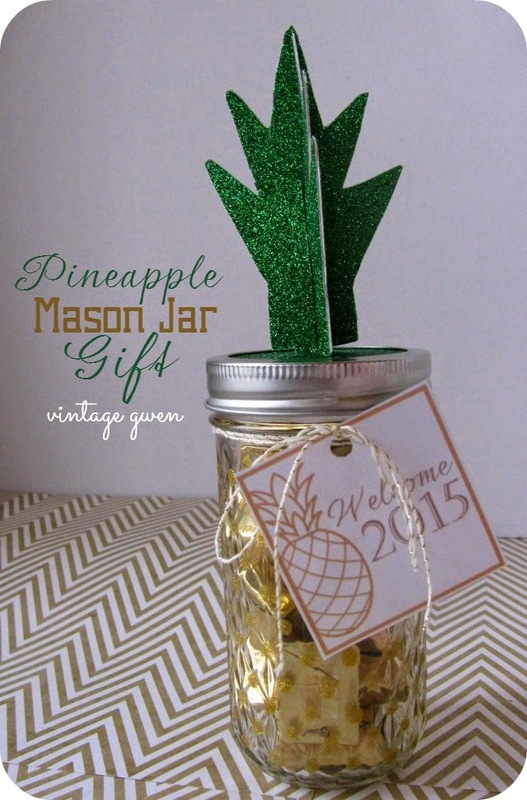 Today I’m sharing an easy New Year’s gift great for neighbors, teachers, friends,….anyone really! 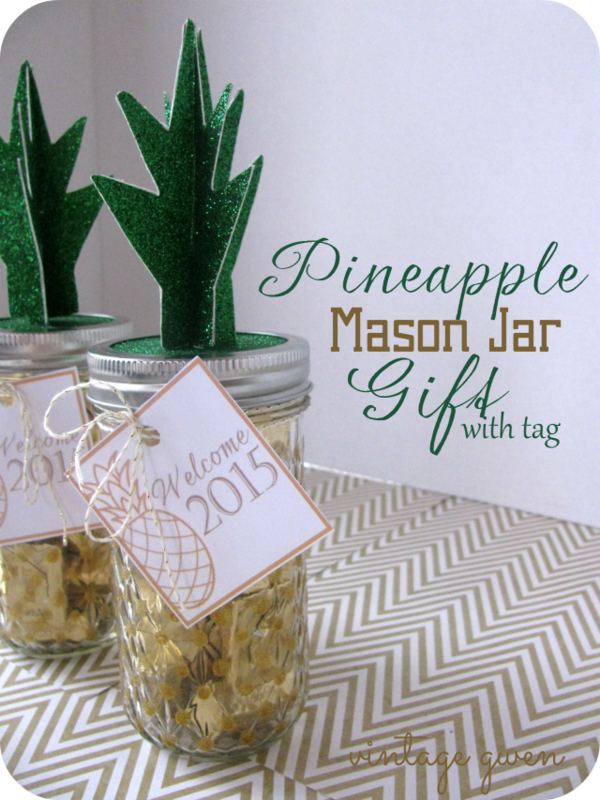 The quilted mason jars reminded me of a pineapple. So I took some gold glitter paint and painted on some dots at each ‘intersection’. Here’s a closer look…. 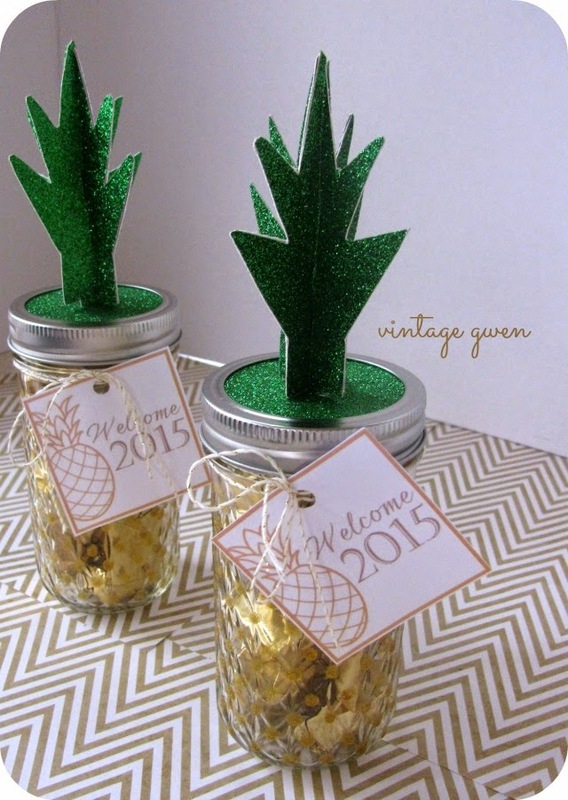 I gingerly pulled the leaves through the lid ring and wallah….a pineapple top! 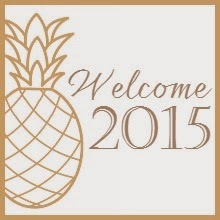 The finishing touch is a ‘Welcome 2015’ tag. 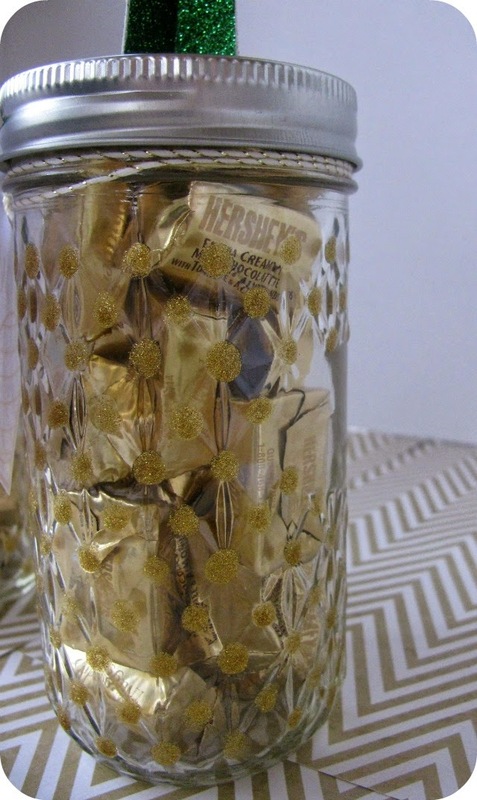 Add a gold wrapped candy and done! Thanks so much Jen for having me today! Her Fall Mantle this year was beautiful. I absolutely love the give thanks sign! And her recipe for Easy Homemade Thin Mints looks amazing! And, her idea for a Picture Frame Tray that you can use three different ways is so simple and pretty! 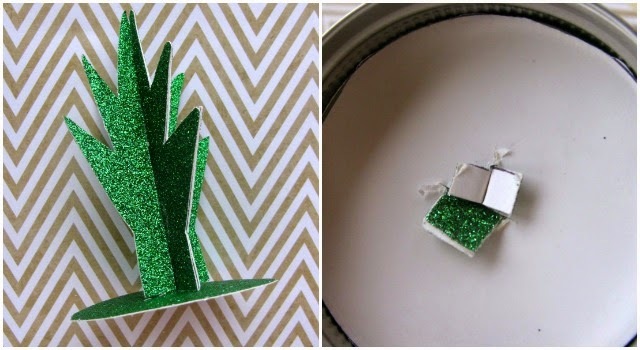 How cute and creative is that gift? SO cute!!! I love it. Thanks for sharing.